We really like surprises from Kensington Palace. It helps that the Duchess of Cambridge (who'll always be Princess Kate to us) is an extraordinary photographer with a mushy proud-mama heart. No one was expecting any more photos of the royal family for a while — we figured they were all pictured-out after the big postpartum meet and greet on the steps of the Lindo Wing at St. Mary's Hospital in London. 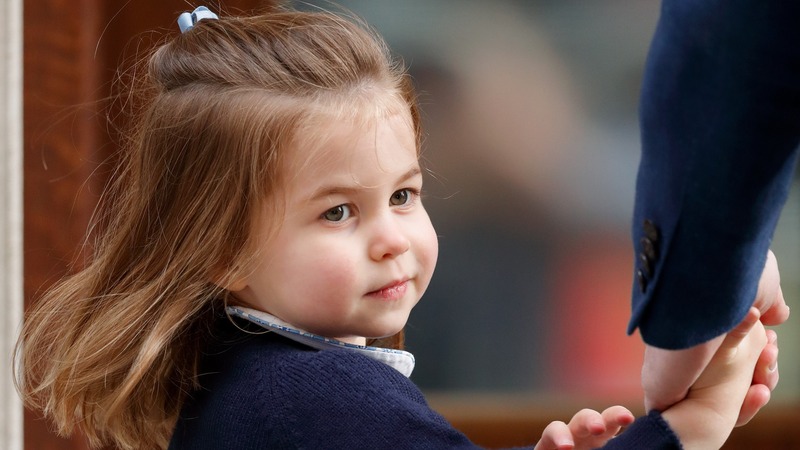 But nope: Kate and Prince William just shared two gorgeous photos of Prince Louis — one featuring birthday girl Princess Charlotte, who just turned 3 and is clearly rocking the big sister role. The official Twitter account of Kensington Palace tweeted, "The Duke and Duchess of Cambridge are very pleased to share two photographs of Princess Charlotte and Prince Louis, taken by The Duchess at Kensington Palace. This image was taken on 2nd May, on Princess Charlotte’s third Birthday." With the second photo, they tweeted, "This image of Prince Louis was taken by The Duchess of Cambridge at Kensington Palace on 26th April. The Duke and Duchess would like to thank members of the public for their kind messages following the birth of Prince Louis, and for Princess Charlotte’s third birthday." Louis is looking pretty awake and ready to rumble (for a newborn). But we are especially enamored by Princess Charlotte's tender way of holding her new brother, complete with a sweet kiss. And for you less sentimental, more fashionable readers, extra points if you can find the (very chic) hand-me-down in one of the photographs. No? OK, we'll spill: Charlotte's navy cardigan sweater used to belong to her older brother, Prince George. (Yes, even royals wear hand-me-downs.) George, now 4, sported the sweater in an Annie Leibovitz portrait of Queen Elizabeth with seven of her grandchildren and great-grands back in 2016 to commemorate the queen's 90th birthday. And it is a huge pleasure to get another peek into the royal family's world so soon after Louis' birth. Keep snapping, Kate — we love your work.